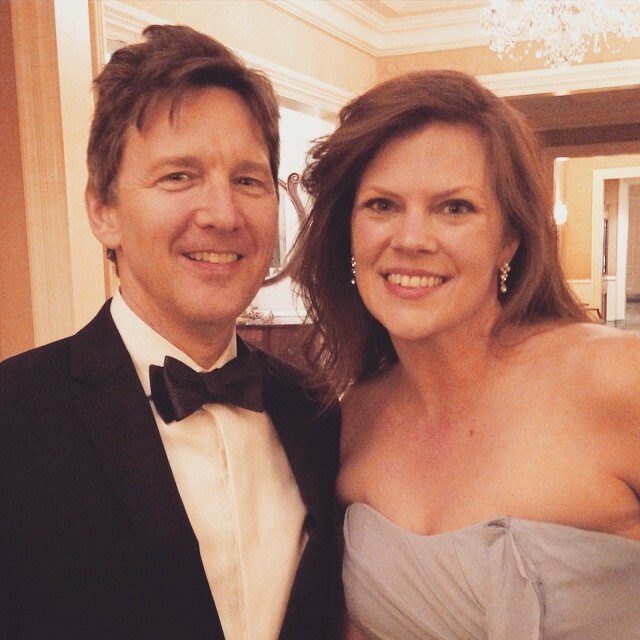 Home TravelConferenceMom 2.0 Summit	The post that’s all about Andrew McCarthy. Sort of. In 1987, I was 9-years old. My sisters were just finishing high school and I had access to the best of the best of 80s culture, from movies to music to impossibly big hair. I don’t think I am alone in my love for the 80s even if I wasn’t exactly the typical angsty teen during that time. For me, the 80s symbolizes summers in my childhood neighborhood, where I would ride my bike with friends to our local pool and spend the day swimming and listening to music. My mom would give me money for the vending machines and I would be gone for hours at a time. Afternoons and evenings were spent watching movies or television with my sisters. I was never really the type of girl to form childhood celebrity crushes even into my teen years. I loved watching movies but never formed an attachment to the characters. 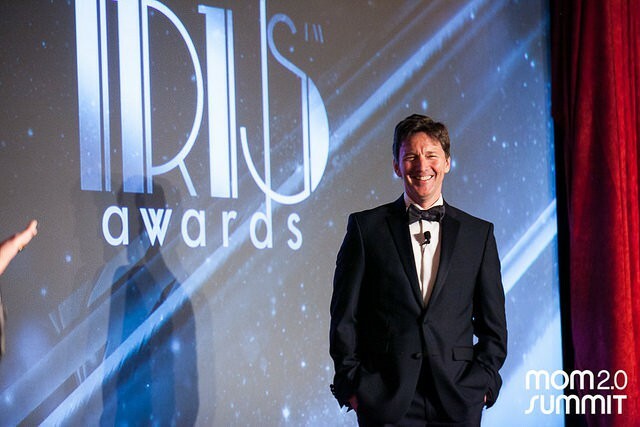 At least I didn’t think I did, until a couple weeks ago when Andrew McCarthy walked onto the stage at the Iris Awards. Suddenly I was 12 years old, giggling and cheering like a lunatic. When experts tell you to know your audience, what they really mean is, know what your audience doesn’t even know they want and surprise them with it. That is how you win. And Mom 2.0 did exactly this all week during the conference. Right now though, let’s focus on Andrew. 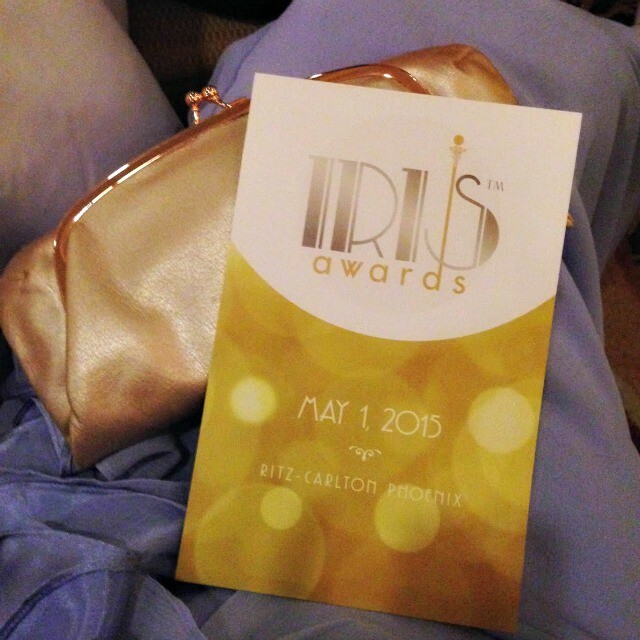 Let’s just be honest; the Iris Awards are plain fun to begin with. I love being in a room with my friends and peers celebrating what we do. Last week I talked about wishing for a seat at the table and the truth is, I have one. Whether this blog sees big numbers or not, I am here. I am contributing and commenting and encouraging people as they take their own journey. But more than that, I am building my own memories. And memories are powerful as I learned that night at the Ritz-Carlton. I stood at the bar with my friend (and boss *cough*) Dina after the awards were over and as I glanced to my left, I saw Andrew McCarthy casually taking photos with people. In that moment there was nothing that could stop me from approaching him. I was giddy. It was so stupid, but I had to say hello. And before I knew it I blurted out, “I know I’m supposed to say Pretty in Pink but OH MY GOSH I loved you in Mannequin!” (and then I died). He graciously smirked and said, “Oh, thank you,” smiled for the picture and that was that. Mannequin you guys. And then it all made sense. I must have watched that movie 100 times as a tween/teen and it just got better every time. Every. Time. Maybe it was because his character played an artist. Maybe it was the Chucks. maybe it was Hollywood. Maybe it doesn’t really matter. I’ve laughed about this silly encounter a few times, wondering why it was so important for me to leave my open tab at the bar to say hello to this person. And not to get terribly philosophical, but it’s been quite some time since I tapped into that silly fangirl part of me who sings loud and lives big and laughs with my head thrown back. And it was good. It was so good to be that girl for five minutes. That girl dreamed big dreams and it was great to realize that she is still right here with me. In fact, that girl has accomplished big dreams too and sometimes it’s easy to forget the dreams that have come true or to push them down when chasing the next goal. And the point here really isn’t Andrew McCarthy, the man. He’s done incredible things since his 80s hearthrob days and now as a father (and blogger) he’s just living his life like the rest of us. Well, maybe a richer more famous version of the rest of us, but you get the idea. It’s like going back to your old neighborhood or tasting a dessert you haven’t had since your grandma died. Nostalgia is a powerful insitagor and this time, its name was Andrew McCarthy. I call Mom 2.0 the inspirational conference for a few reasons. Yes, there are plenty of opportunities to learn, but more than anything they are exceptional at giving the time and space to dig deep and find the why. I want a seat at the table, but why? My why is that 9-year old girl with the world at her fingertips, singing loudly and dreaming big dreams, bursting with curiosity and creativity. It’s my husband who married a person with dreams and ideas and interests and a sense of humor. It’s our two boys who are growing up impossibly fast. It’s knowing that I am no good to them if I am a lifeless robot going through the motions of obligation. They need me to be silly. They love it when I laugh hard and I love it too. It’s good to be responsible and take care of business. But what I needed to be reminded of was that we need to keep a little part of our youth alive too. Because that’s how we make it through the down days. That’s how we teach the next generation. That’s how we connect and create and encourage each other. Be insane with me. Tell me about the last time you tapped into your silly side, below! Andrea I am totally with you. I am huge Mannequin fan! So fun seeing you at Mom 2.0. 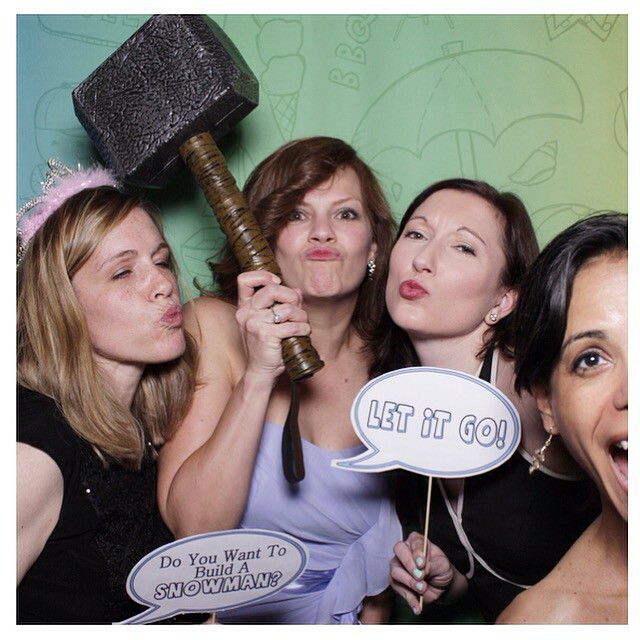 Any time my sisters and I get together pure silliness comes out. What a great event! I look forward to catching up with Mom 2.0 when it swings back to the East Coast. Great fun! I love so much of this. SO much. I definitely found myself laughing and letting loose more than I have in a long time, and when it was combined with the inspiration and learning? Well, it was incredible. So thankful I went this year and I’ll definitely be there again in 2016. 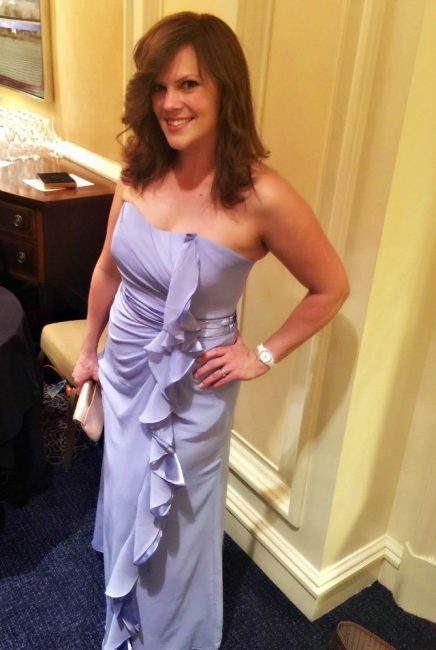 I’m sorry, I know there are words in this post, but all I can really see is how hot you look in that dress.